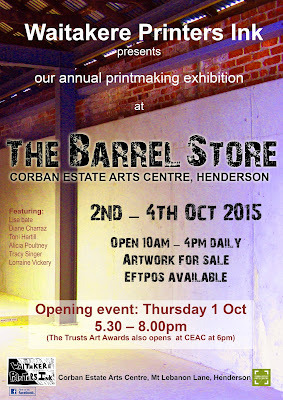 Toni Hartill Art: Waitakere Printers Ink - coming show! Waitakere Printers Ink - coming show! This will be our third show at the Barrel Store. This is an opportunity to buy direct from the artists at affordable prices.